Features: New Release Industrial loom Commercial product range. Frame: Powder coated Charcoal reinforced steel. Matching Chair, Table frame, Stools with and without backs and Table tops also available in this range. 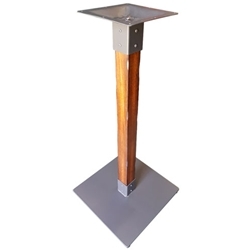 Dimensions: Suitable for tops up to 800mm square.